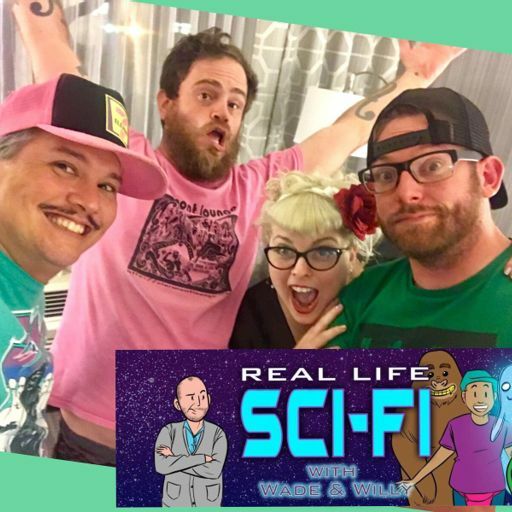 195: Bonus Episode - Real Life NO Sci-Fi - So Good, So Good, So Good! the bonus "in between" show - we've got fan mail, what's eating willy's grape, bloody mary with children and rockin coasters babay! 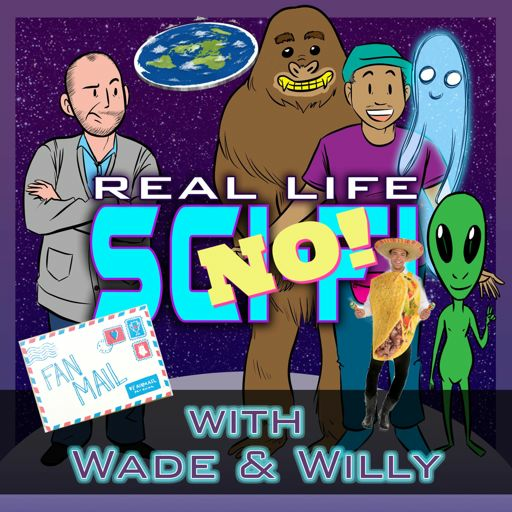 The In Between show... fan mail, what's eating willy's grape and Wade's continuing battle with his $30 candle. 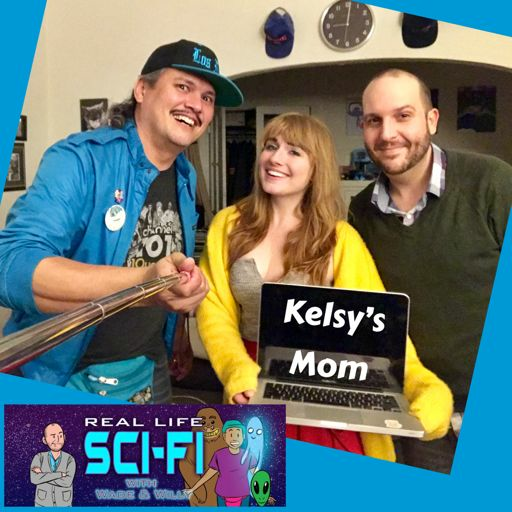 188: 188 - Kelsy's Mom was a 1-800 psychic. Let's talk to Beverly about it. Wade and Willy are just hanging out. No paranormal and no conspiracy theories. Fan Mail. Do we get to the topic? Not really, but we have a blast with our friend Chris Romano. 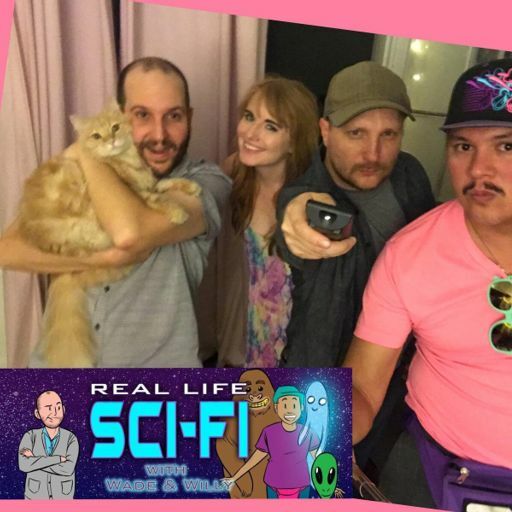 There is proof of life existing in space. It really is fascinating. What is more fascinating is Romanski. 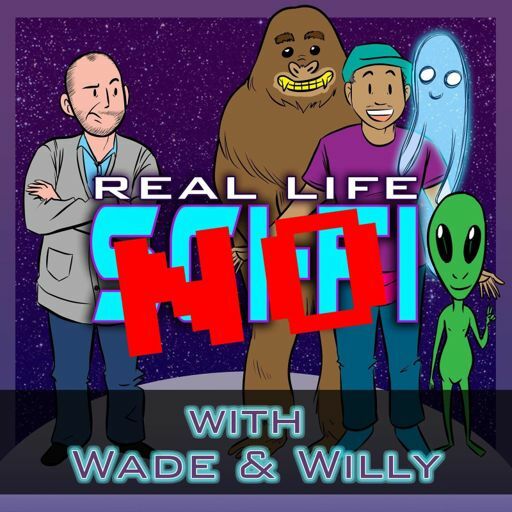 In between real episodes, wade and willy catch up. 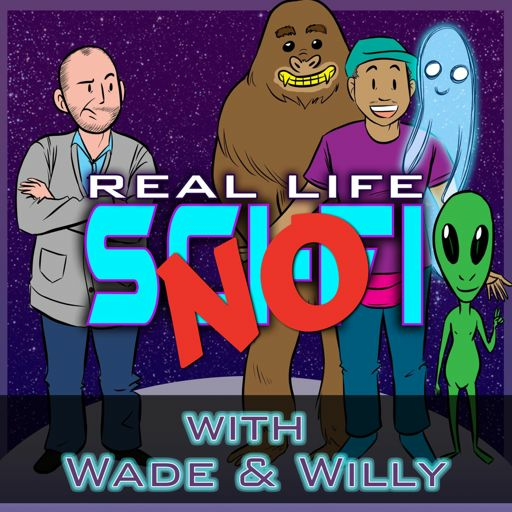 today willy complains about work (sorry - maybe a little too much) and then wade wants to learn how to deal with someone who has bad breath. do we declare a winner for our #moonweed contest? I mean sort of... did you watch the lunar eclipse? 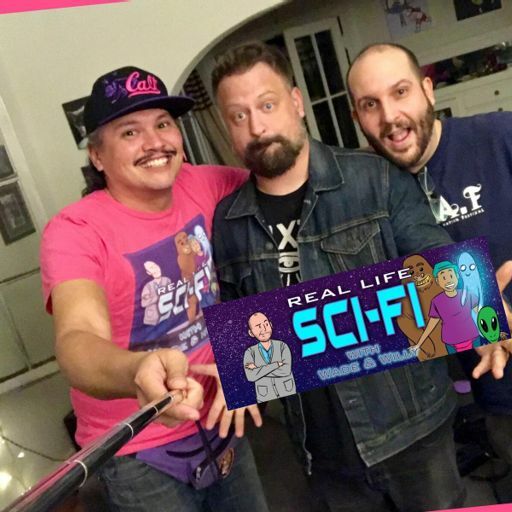 182: Bonus - Real Life NO Sci-Fi - The Best a Man Can Get? Wade and Willy are friends and they hang out before the conspiracy show so they talk the same way that friends talk. Are you a friend? We'll see, won't we. Look, we're just chilling out, homie. Why do you need a description. This has been going around for a while and it seemed rude to do this topic... until you look into it?!?!?!?!?!?!?!? Have a good day. Playoffs begins while fantasy ends. who had a fantasy? Friendship. Cool kids... jealous or confused? 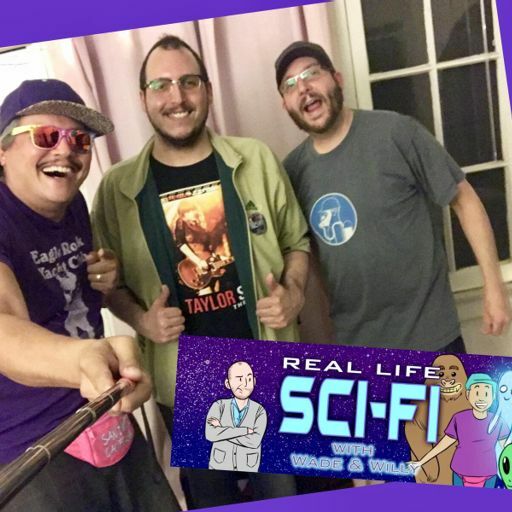 180: bonus - real life no sci fi - holidays! 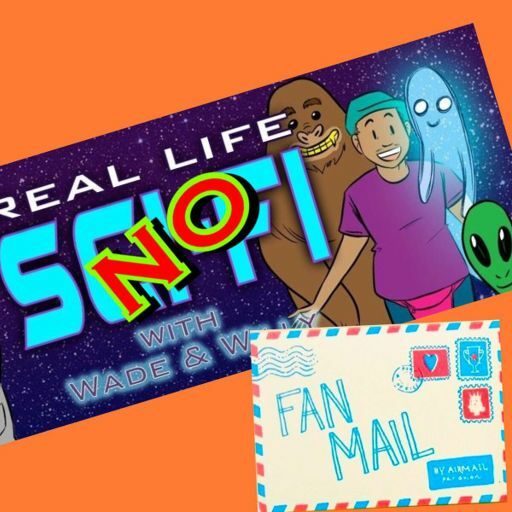 178: Bonus Real Life No Sci Fi - answering fan mail! 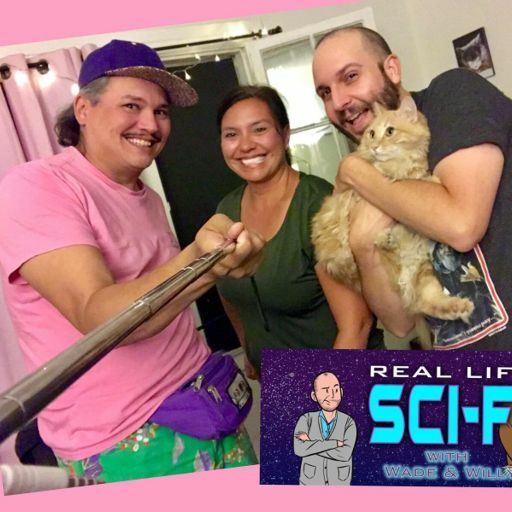 176: Was Tony Campos Abducted? 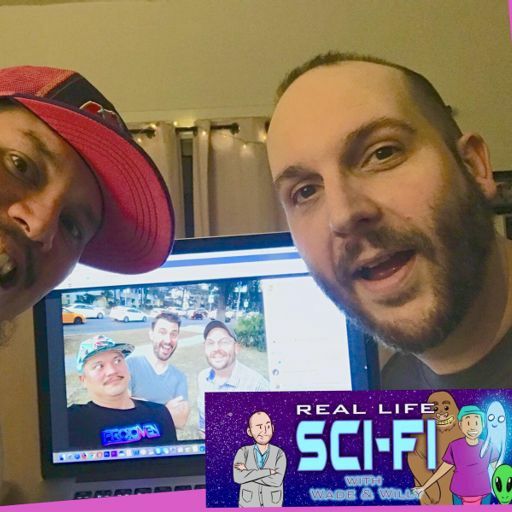 Tony has a curious story that fits the typical "stories" of alien abduction including a sighting with others, a fuzzy memory and missing time. What do you think? Thanksgiving - do you like it? , gift giving - who is good at giving and receiving? , and shootin the $h!t. Where are all of the aliens? Are we at the end of intelligent life in the universe or the beginning? The Great Filter is born of the Fermi Paradox. 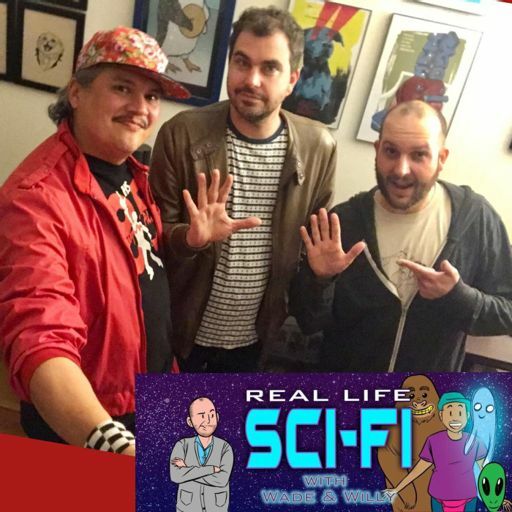 Mike McCafferty joins real life sci fi again. The Emerald Tablet, The philosopher's stone, alchemy - what the hell is with all of these things? 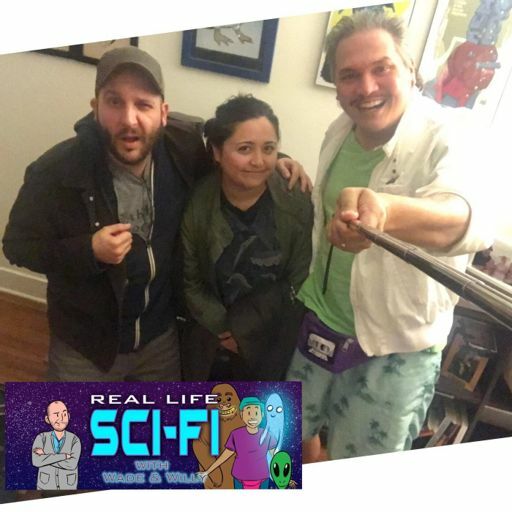 172: Real Life NO Sci-Fi - Singing with accents and Red Dead Redemption 2 and Writing. 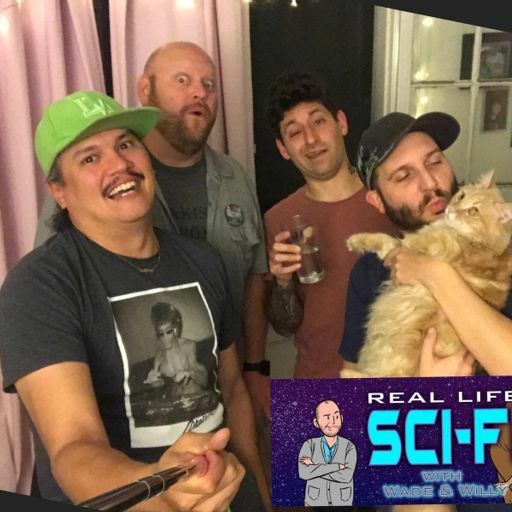 Bonus - Willy is offended again by stupid things, Red dead redemption 2 - the chores of video games, and we start coming up with characters for a script. the title is the description, ok? Is the sting of the scorpio a real thing or is it just an excuse to not be forgiving? Anxiety leads to rage too. Is Willy just too mad? and of course a little bit of fantasy football. 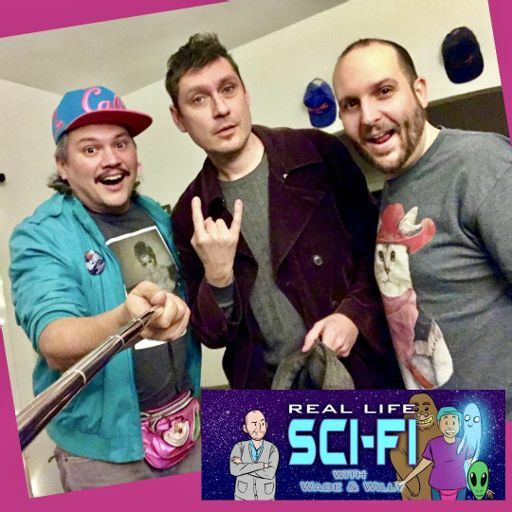 From Steven Greer to Vernher Von Braun - These "rumors" have been going around for a while but they definitely follow a timeline that supports it. Getting back into gaming - how much time we used to spend vs how much time we do now. Cheating in games. Tinder / dating apps. 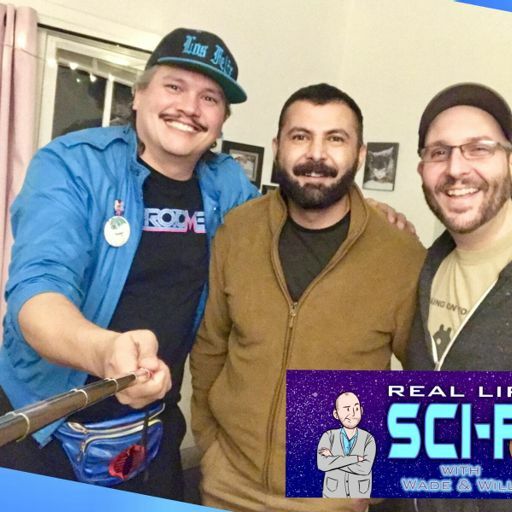 165: Crazy Things Astronauts Have said with Aaron Moles. Seth is a fellow Pitch writer and comedian and him and Katelyn tell their story, Tim is doing a doc about them and Wade is missing?!?!?!?!? Robert Hastings, Robert Salas and others have stories of UFOs messing with nukes. Is that why they are here? Does this energy transcend dimensions or something of that effect? I don't think we actually ever get into the topic because we have too much fun with Dan. Derek joined the Master's Commission group to find out it was a cult and talks about getting into and out of it. Radio Waves? Light Waves? Gravity Waves? Thought Waves? Will we be able to recognize any messages or signals from other life forms? Bill Hicks and Noam Chomsky talk about subjects like this but they are way smarter than us. Enjoy us. Is America doing stuff that is as controlling? Is 1984 really happening? Are we ever going to be able to say no to our government? Reincarnation? Past Lives? Echoes of someone else's life? We talk with Franco about his. Have you seen alien implants? weird scars of abductees? Patient Seventeen. Have you seen it? 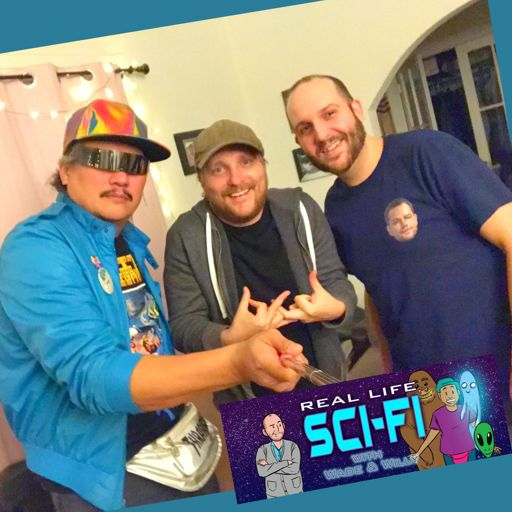 It's about alien implants and Dr. Roger Leir and his work. if the universe is vibrational sound energy, shouldn't we be able to do anything? Even though the Air Force has a space force, Trump suggested a new one. What would this force do? This is really sad. Plants are very intelligent and communicate and make choices and see... all without a brain. join us. Eventually we might end up sending people to Mars. It probably won't be good for them. Hell. Is this place Real? Is this place a tool for Guilt? Pretty scary either way. Erin Pearce runs our star charts and gives us details about who we are. Can the celestial alignments have a say in who you are? Betty and Barney Hill were the first widely publicized alien abduction. Dave's had a couple. Are they real or your brain making sense of the senseless? The Metric system could work better with a base of 12 numbers instead of 10. Let's math into the future. When it eventually erupts again it will be the end for a lot of people. What can we do about it? Marissa is studying Crystals and healing - what can she teach us. Gary was looking for aliens and free energy... did he find anything? We go hours deep into nothing​. Our guests are associates of the United Lodge of Theosophy. The Universe is Sound... Let’s Play with Eddy Vajarakitipongse! Eddy’s medium for his art is sound. Join us as we talk about everything sound! Maybe time travel is already happening, and everyone is selfish about it. 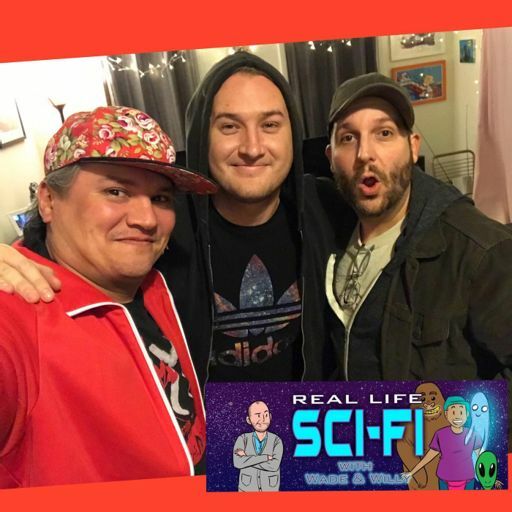 Shane's psychadelic experiences... has he gone too far? After his big break, are Psychedelics giving him answers or making him crazy? Brains hooked up to computers... are we there yet? 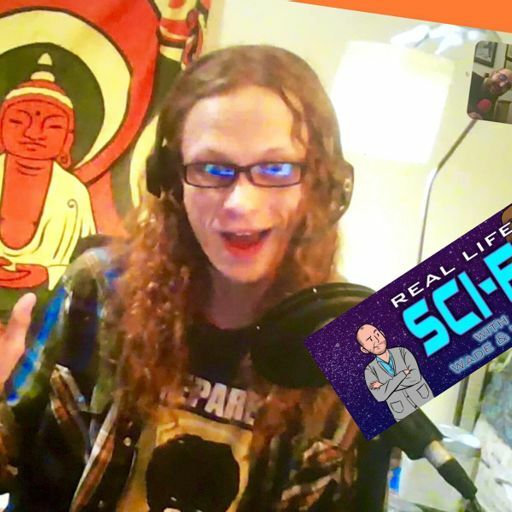 Timothy Pizza shares his experiences with psychedelics and mind alterations. It seems like everyone knows someone with a ghost story and there still isn't any proof. 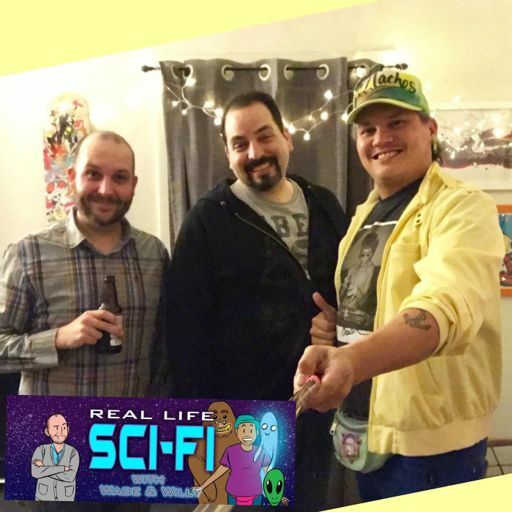 Fair Point Podcast (Nate and Craig) join us to talk about Magick. Are You Ready? We ain’t talkin' no Criss Angel… we talkin' magick. Gus was slated to be the first man on the moon but NASA was unhappy with him. Did they bump him out of line? Quantum theory/computers/entanglement oh my. Can we make sense of it? It has already changed our future. Is proof of the existence of giants being suppressed? And, if so, why? Cui bono? 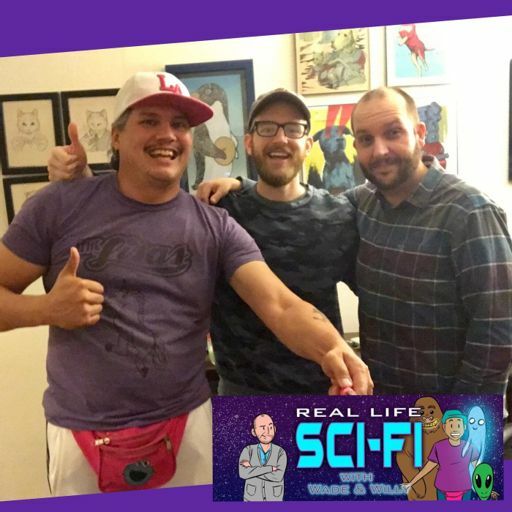 Kyle Kinane and Dave Stone of The Boogie Monster podcast stop by to discuss. 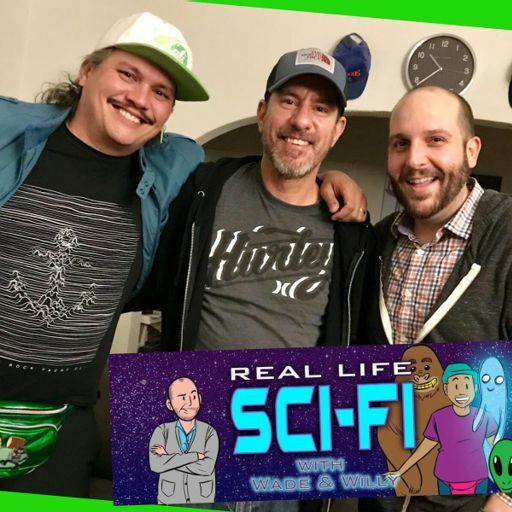 Willy shows his favorite ufo videos to Steve Agee, Jeff Davis and Rob Schrab. Use the youtube link on the Feral Audio show page to watch the videos with us! Dreams might not mean anything but what if they were just as important as an awake brain? What if we are supposed to be in control? Were David Koresh and the Branch Davidians killed unjustly by The ATF and the FBI? A lot of people think so including some of them who participated in the raid. Stories of children with all black eyes trying to get invited into people’s homes are all over the internet… is any of it real? We are deep in the middle of guest speakers, parades and alien costumes. 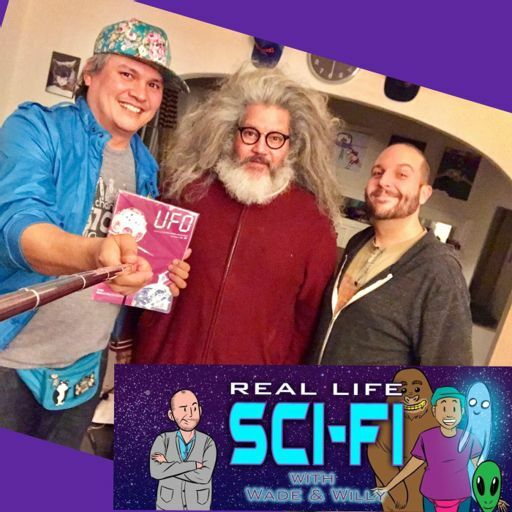 We are at the McMenamins UFO Convention and we interview two people who deal with UFO reports as their day job. 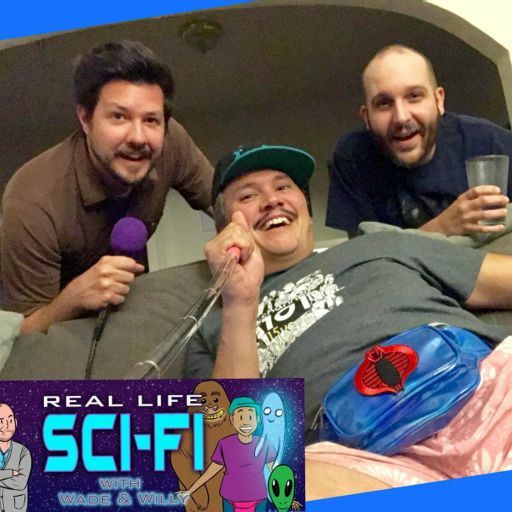 We have a real guest!?!? A specialist. An expert! Rejoice. This week's all about Lyme Connecticut, the birthplace of lyme disease. And don't forget Plum Island next door had Nazi scientists from Operation paper clip. 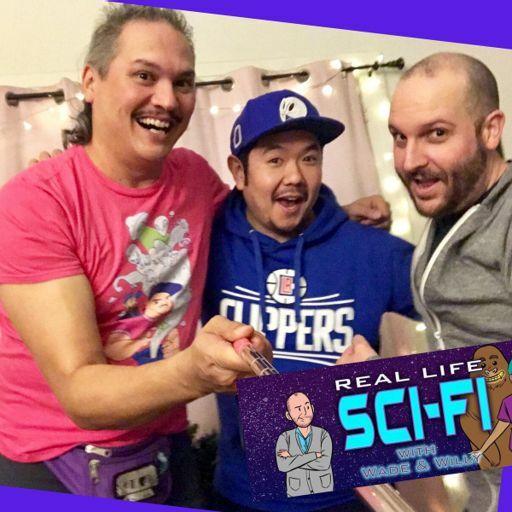 Franco talks about his sleep paralysis like incident with grey aliens… but he has a scar. What really happened? Does the alignment of anything affect everything? Jack Cusumano drops some astrology on our classified newspaper asses. Was Princess Diana’s Accident A planned murder? We talk with Jeff Davis and Church about this. Are Cannabis and Mushrooms from Outer Space? 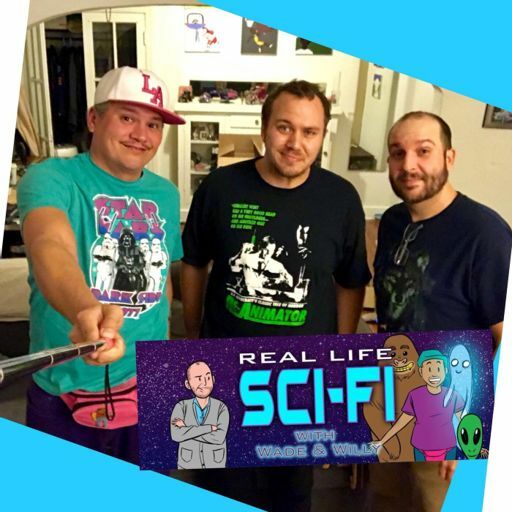 Visit www.feralaudio.com/rlsf for our list of articles! Have aliens ever worked for our government? Is this something they could keep a secret? Bad science and paid-off scientists have been lying to you about how bad sugar actually is. Today’s information age has unseen electromagnetic waves all around us. Could mind control signals be stored in there? Bobby had a talking to from the secret service because of his Presidential death threats. Can you prove to me that you exist? Did my mind create you? Are we all different timelines of one soul? A secret group of scientists were found out about from the Pentagon papers. What could the Jason Society be doing? "Bugmane" tries to convince us that we were awakened by a disaster. Everything before 9/11 is programmed memory. Hole’s original drummer talks about her experiences in a coven. Could parallel universes be converging? Is someone messing with time? Or is everyone’s memory a little bad? Can you create an imaginary friend that thinks for itself? 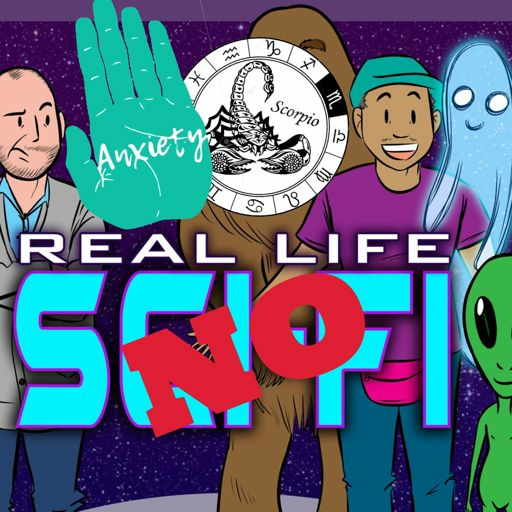 When aliens abduct people they can change your memories… what if the clown doll under your bed or the monster in your closet was an alien in disguise? Is there life after death? 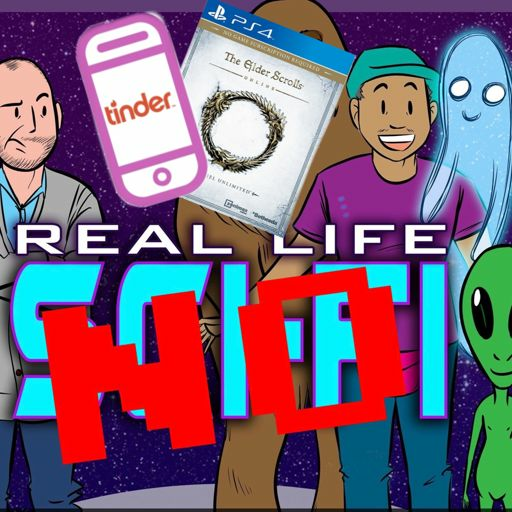 Can an oobe be real? Corrupt money, secret government, secret military, nsa answering to no one - the longer we wait the better chance we have of living the rest of our lives as one nation under the corporation with the most money. Are most ancient interactions with gods giving away the secrets to the future just a guy showing them their future on cd-roms of our past. Are aliens literally walking among us? The reason why quantum mechanics and general relativity don’t work together is because gravity only works on paper. Let’s face it, secret underground bases are everywhere in America. But why? And will they let you in? Don’t Believe in Santa? How about evil? There have been over a dozen lost cities found in the ocean but no trace of the mythic lost city of Atlantis. 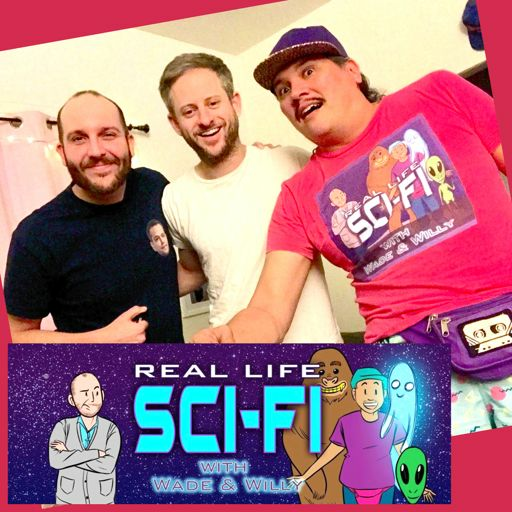 Wade, Willy, and Chuck check each other for alien implants. 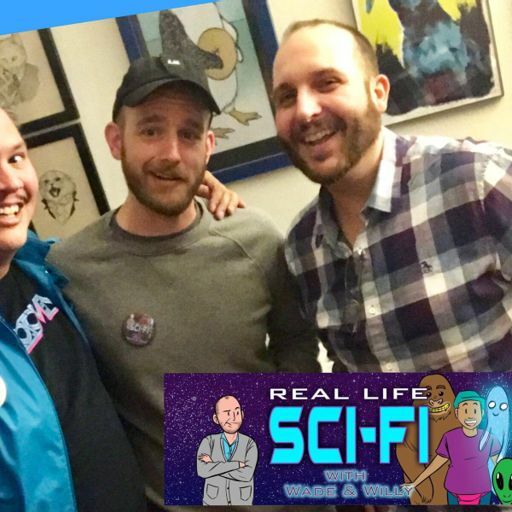 Put on a fresh pair of MeUndies as Wade, Willy, and Ryan Elder discuss whether sound is powerful enough to make you "do the pooh". It is an unpopular conspiracy theory but a major one, did the CIA create AIDS? There's a lot of weird evidence to back the theory up. 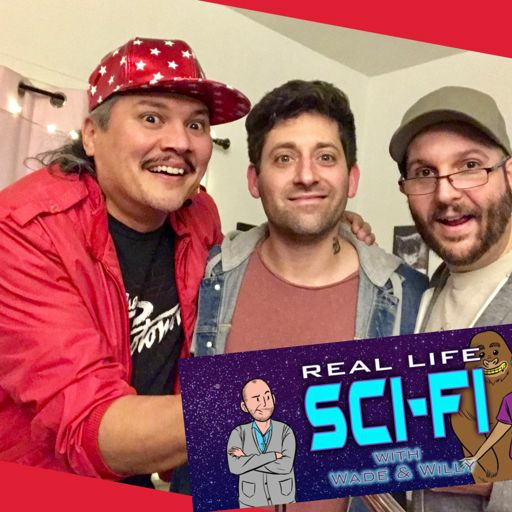 Ryan Catner aka Honus Honus of the band Man Man learns about the most important UFO crash ever. We know Sirhan Sirhan assassinated Robert F. Kennedy, but do we really know why? Comedian Josh Cheney gets inside the mind of a killer. 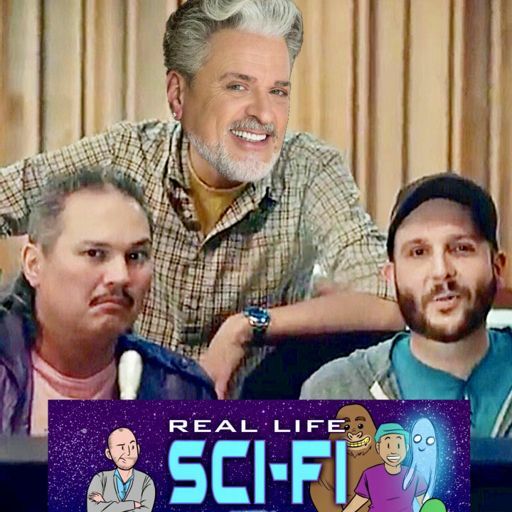 Of the band The Manx, Zach Zdziebko helps breakdown if blue-bloods are actually reptilian people. Kelsy Abbott returns to talk about the future! Who other than I Just Want To Talk About Star Trek's Mike McCafferty to talk about possibility of contacting an actual galactic council. 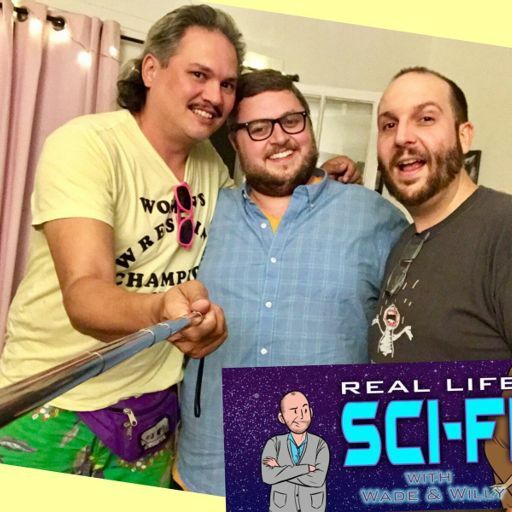 Willy lays out the conspiracy theories of why the Titanic didn't sink, despite the recorded evidence... but some alternative theories make a compelling argument... jk everyone gets drunk. Real Life Sci-Fi takes on the third plane of 9/11, one that crashed into the Pentagon. What happened? Eric Acosta returns and there's a weird amount of mysterious deaths surrounding the Clintons. Coincidence? 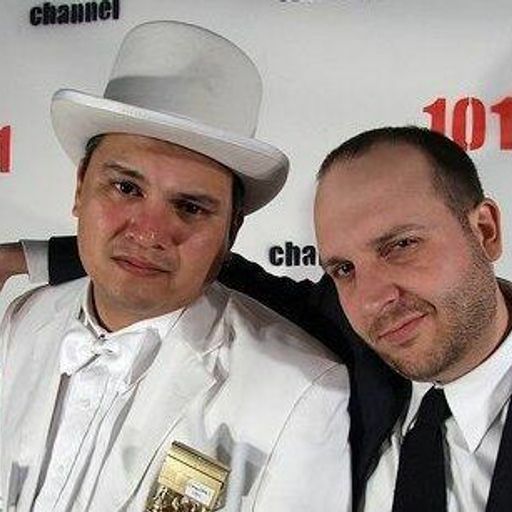 It's Beyond Yacht Rock's JD and David opposite Wade and Willy in a no holds barred cage match... okay not really. But do they believe in psychics? 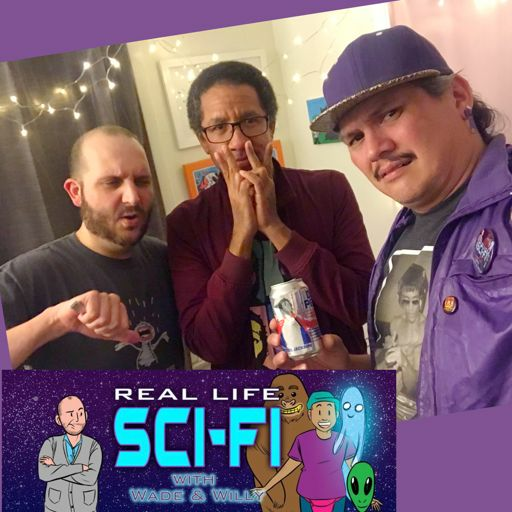 The nature of Evil is discussed and we welcome back Abed Gheith, Community's real life Abed! Are prophets and prophecies legit? 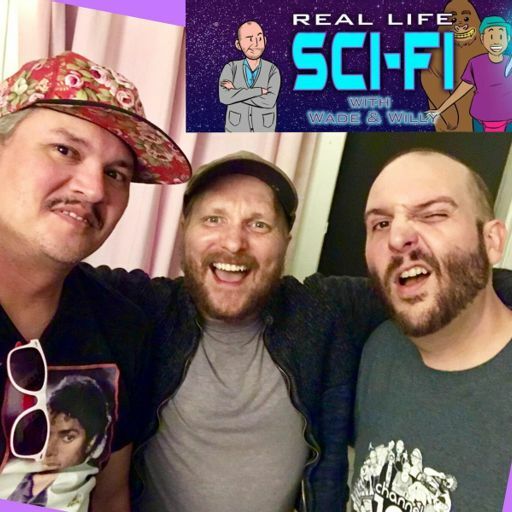 Wade & Willy with guest Doug Beatty drunkenly debate them all! Ira Stone weighs in on the conspiracy of a black budget secret space program. Shenanigans or totally valid? You decide! 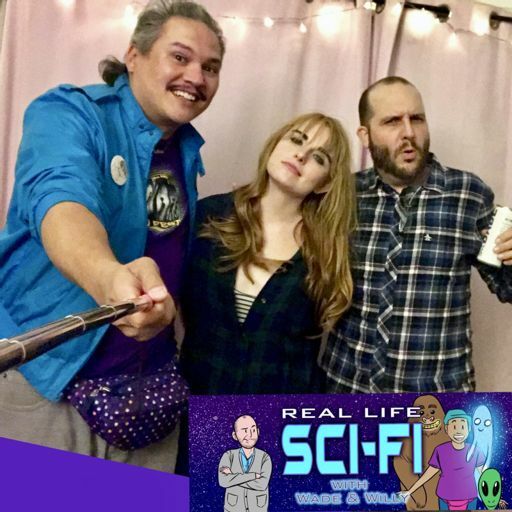 Improviser and writer Heather Ann Campbell makes a hilarious appearance on Real Life Sci-Fi and has some opinions on the roaming mystery planet Nibiru. 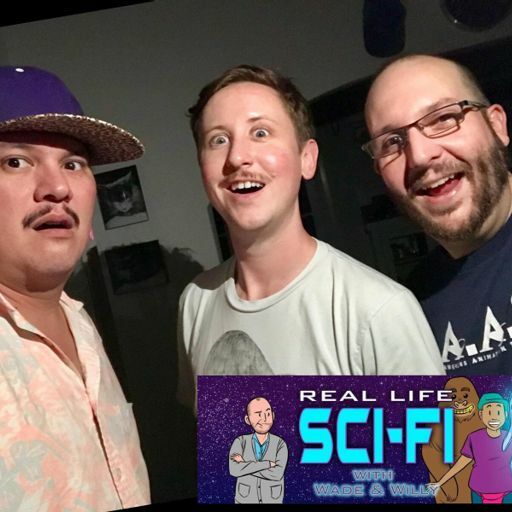 Our first third repeat guest Sam Brown brings some mystery jelly beans and discusses the entire Universe being a program. 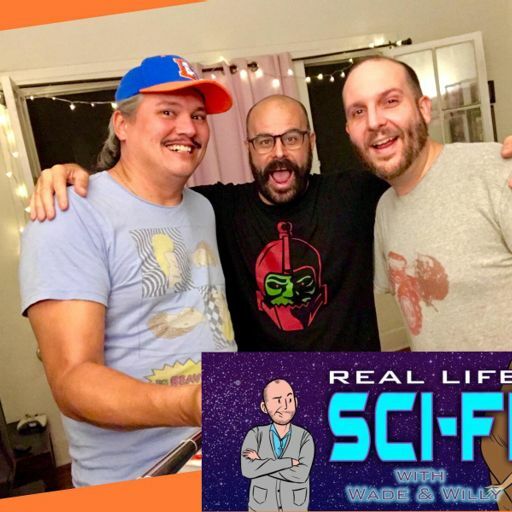 Wade and Willy invite their most manic friend, illustrator Myke Chillian to the show to discuss the reality or fiction of the Universe being made up complete of sound. 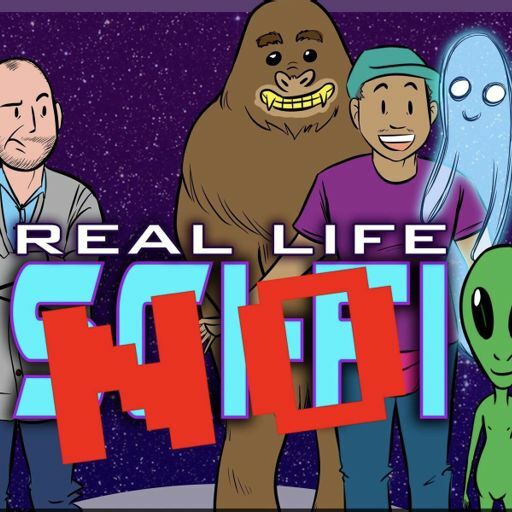 Straight up, Aliens are real. 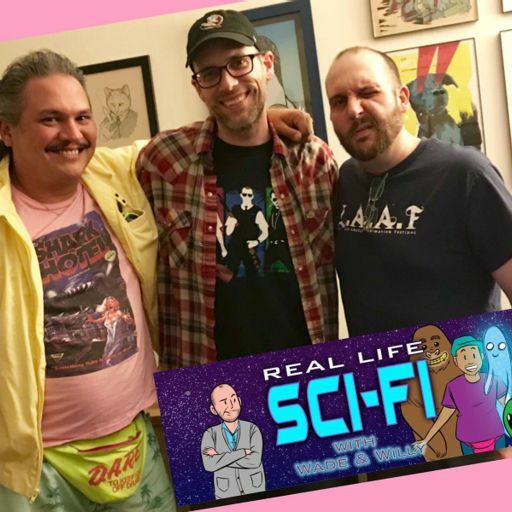 Harmontown's Jeff Davis joins Real Life Sci-Fi with Wade and Willy! 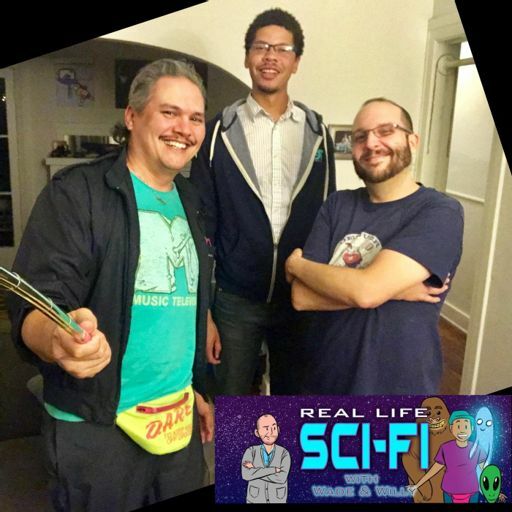 A friend of the show introduces us to Devin for our wildest episode yet. Be prepared to traverse the universe. What is England covering up with their similar events to Roswell? Does the Federal Reserve exist? 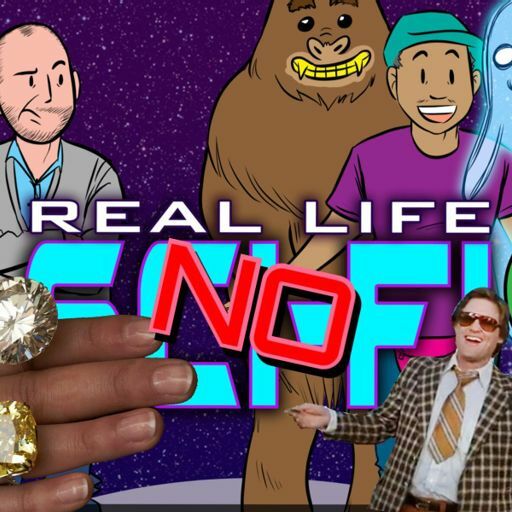 Is all our money a hoax? 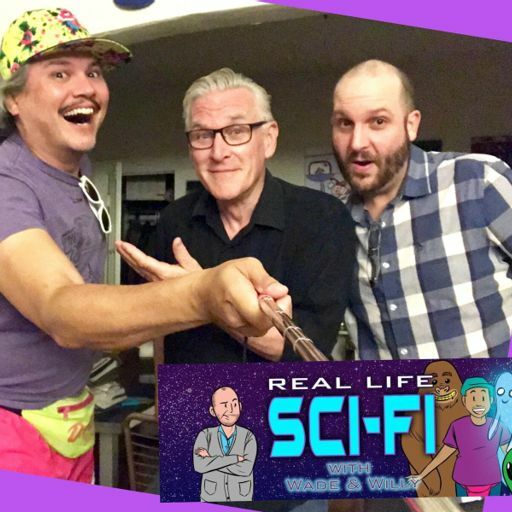 In recent news with rapper B.o.B's belief in flat earth, Wade and Willy welcome TV Producer Delbert Shoopman III to the pod to debate it. 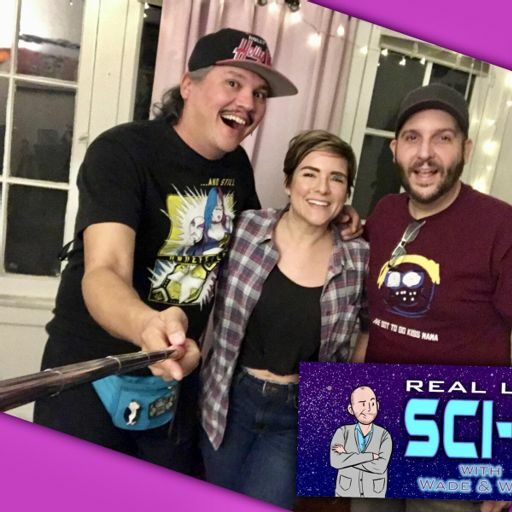 Voice actor and Sculptor Erin Pearce and Willy go to head to head on the non-physical nature of the Universe, Wade tries to keep it on track! 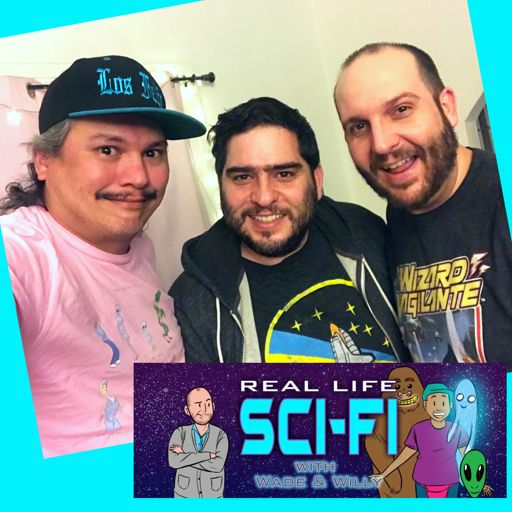 If you read the title, Real Life Sci-Fi proposes the idea that ghosts are aliens, or aliens are ghosts with guest JP Robelot! 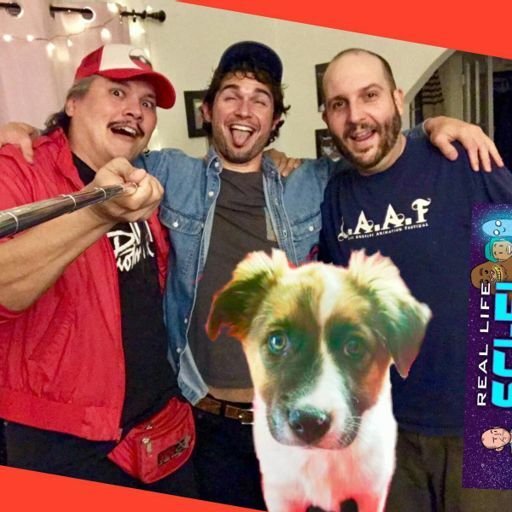 Guest Ed Salazar of The Meltdown Show delves into the bizarre history of crack cocaine that (maybe) leads back to the CIA. 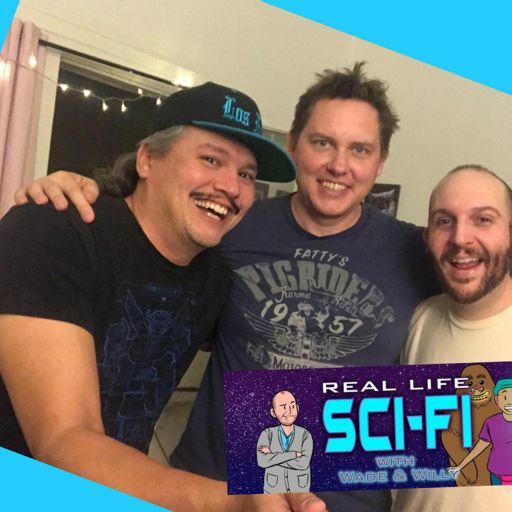 Blue Mountain State creator, Eric Falconer, talks about the secret society of The Vatican and its long line of Popes. 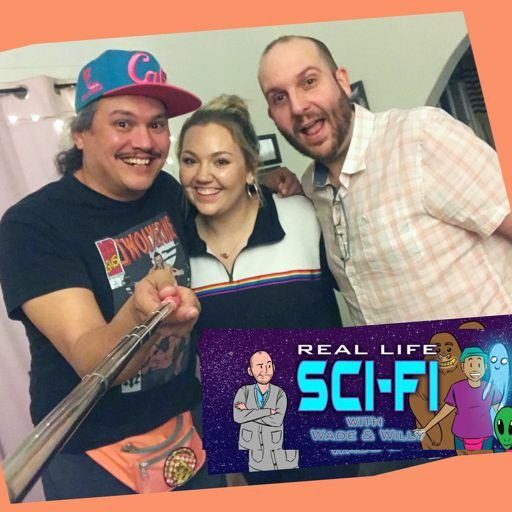 Kelsy Abbott returns to the show to talk The Mothman! 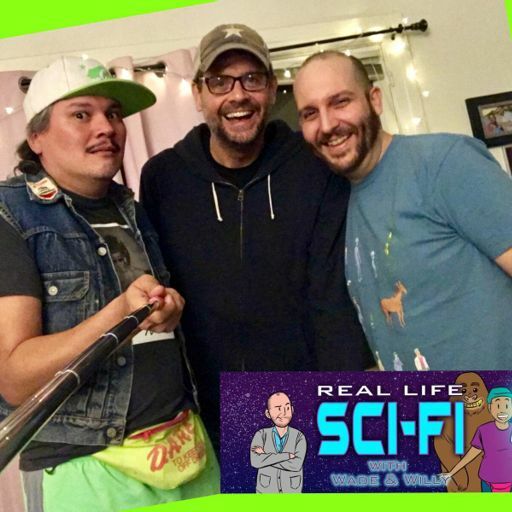 Voice Actor legend and fellow Feral Audio podcaster James Urbaniak talks to Wade and Willy about the Grand Unified Conspiracy theory. 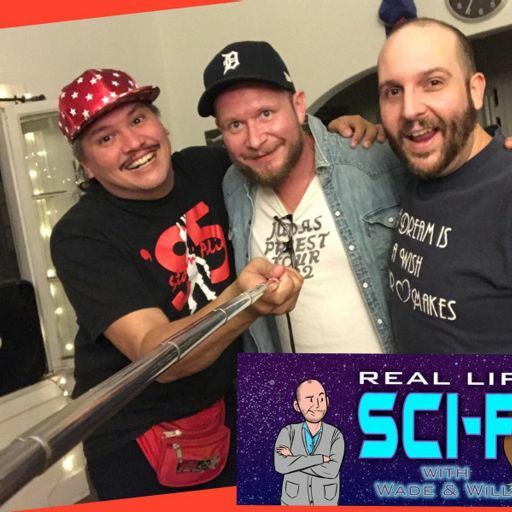 Wade and Willy invite Derek Mears to explore the world of secret societies. 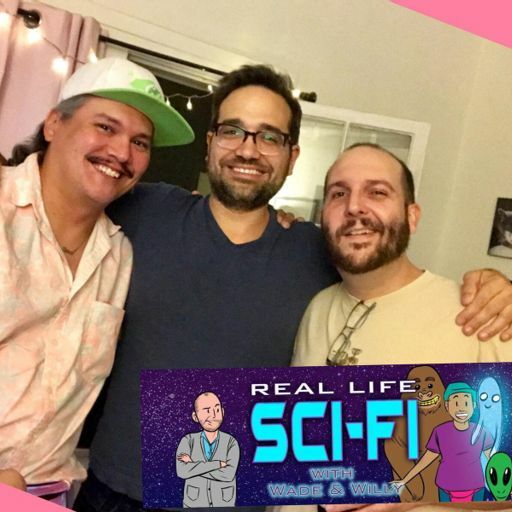 Kate Freund, Wade and Willy dive into The Disclosure Project! 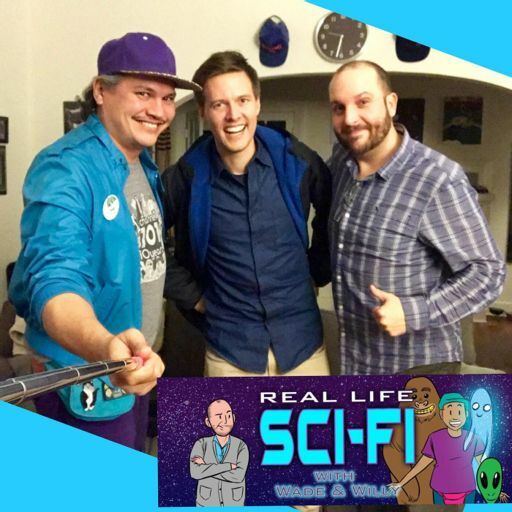 Writer, TV producer, composer Martin Olson joins Real Life Sci-Fi for a broad discussion on if we are meant to uncover conspiracy theories or not. One of the biggest staples in alien conspiracy theory is the inside out mutilated cow. What the hell is going on? Why are they so frequently occurring? Jack and Teri Hendrich Cusumano - is the paranormal all the same entity? 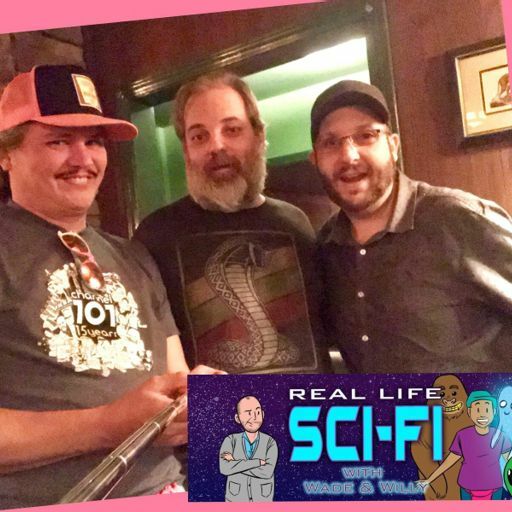 Buckle up fans and harmenians, Wade and Willy plunge into hollow earth theory with Dan Harmon! 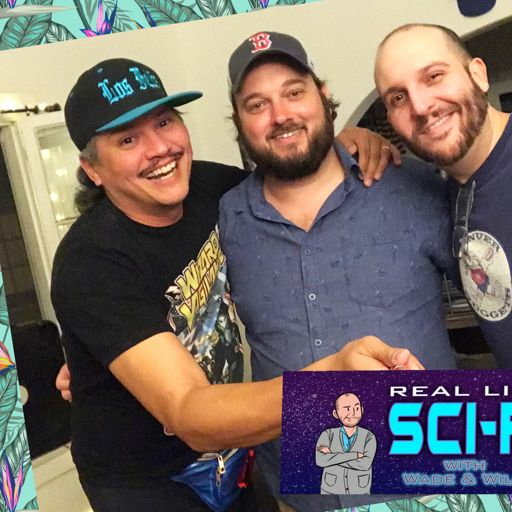 Rick and Morty writer Ryan Ridley knows a thing or two about David Icke's radical conspiratorial belief in reptilian people. Is there a larger conspiracy at hand behind our belief systems? Jade Helm 15 is an upcoming government exercise that uses real ammunition, civilians and military personnel to enact terrorist attacks, but why? 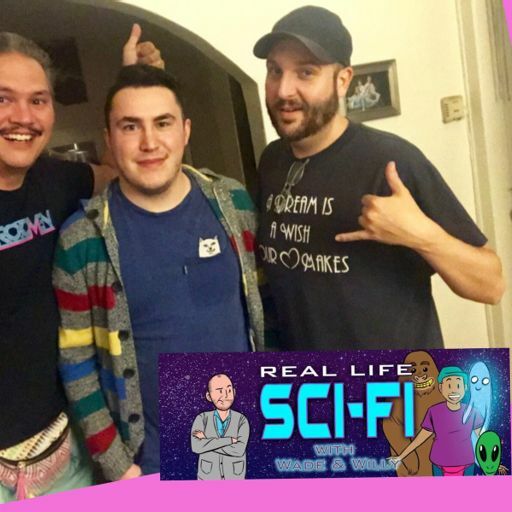 Sam Brown and Trever Moore of the Whitest Kids You Know debate if there are structures on the moon! Inside out cows, abductions upon alien craft, is any of it legit? The Men In Black, are there secret government agents whose job it is to hunt and police aliens? How much does will know/speculate? Is Paul dead? Backwards masking? The Beatles have a ton of conspiracy theories surrounding them. 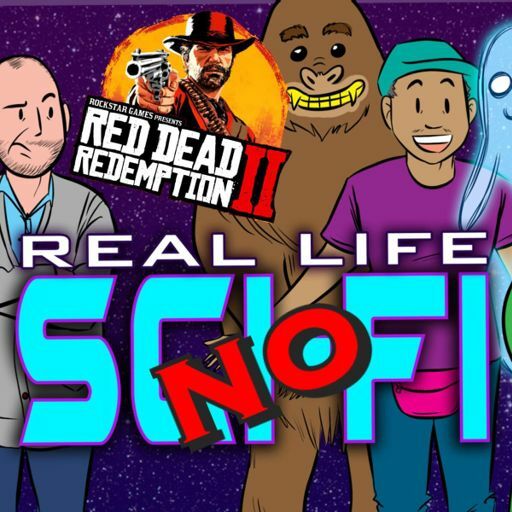 Lets get to the bottom of them on Real Life Sci-Fi! What is the true nature of consciousness? 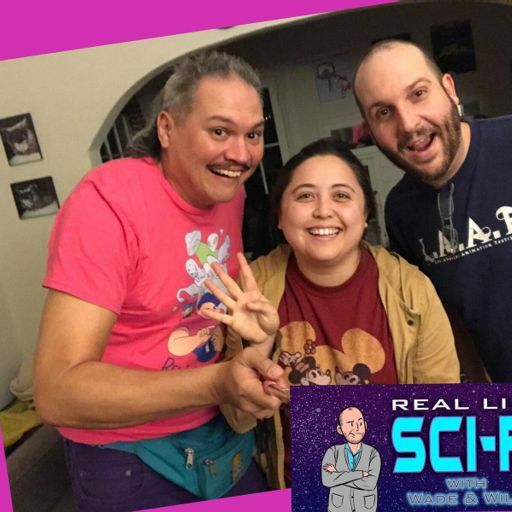 Who f*cking knows but Wade and Willy have some theories with guest Lauren Smitelli! Michael Jackson fanatic Erni Walker discusses some of the insane conspiracy theories surrounding the late great Michael Jackson. 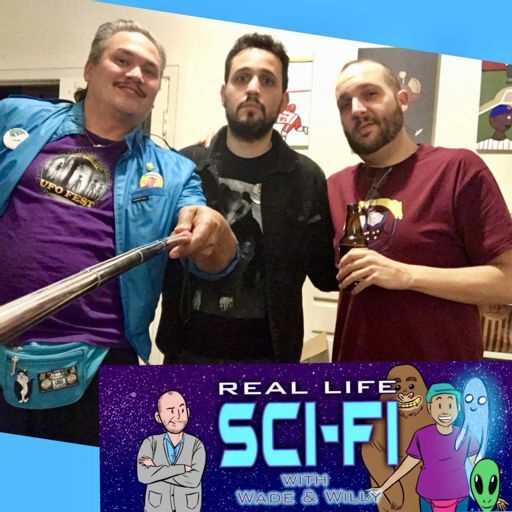 Channel 101 show creator and director David Mikalson joins Real Life Sci-Fi with Wade and Willy to ponder if psychedelics are conduits to other dimensions of existence or just party drugs. 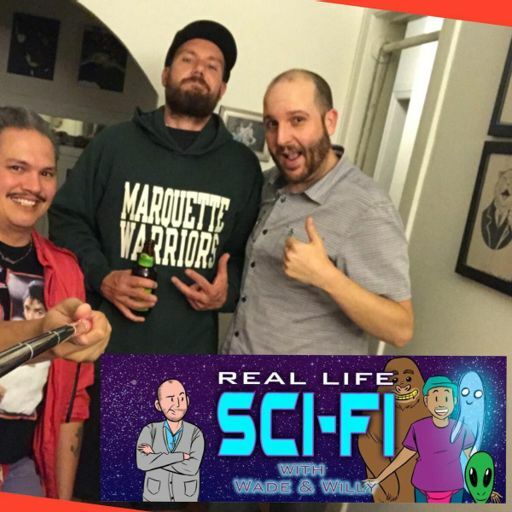 There's a face on mars, maybe, Yacht Rock's Dave Lyons sits in while Wade & Willy get into it. 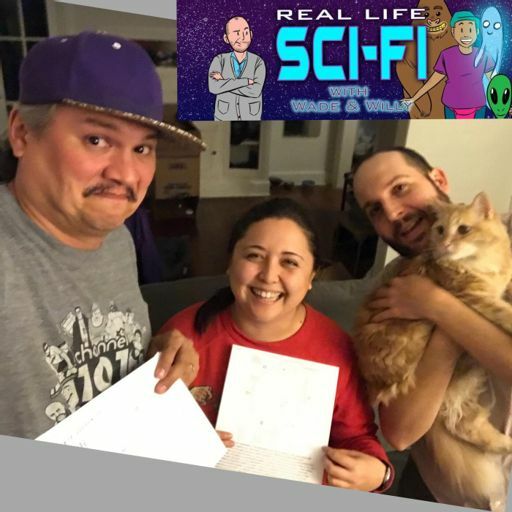 Guest Yasmin Joyner is an active UFO spotter and when everyone meets in the parking lot before the recording sees an unidentified flying object they meet and discuss what the hell it was. 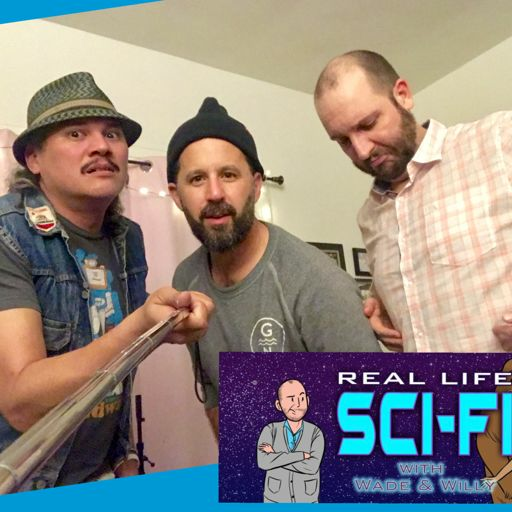 A special field recording episode of Real Life Sci Fi takes a group on a hunt to capture a UFO on camera. 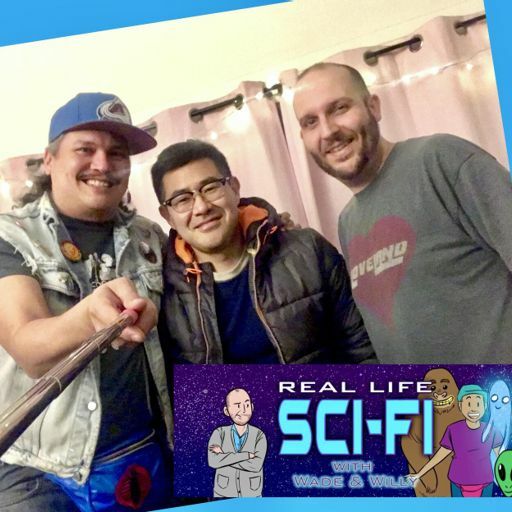 Acclaimed violinist Mia Matsumiya joins Wade & Willy to talk about infiltrating cults. 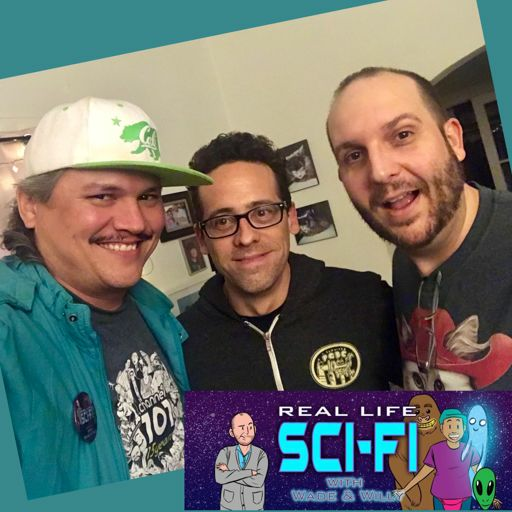 Channel 101 acclaimed director Mike Manasewitsch joins Wade & Willy to discuss the merits of ANCIENT ASTRONAUTS & ALIENS. 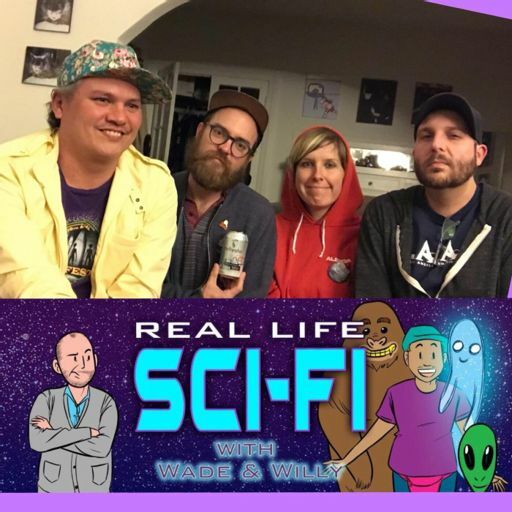 Wade's a cynic, Willy is a conspiracy theorist and Becky Garcia helps decide if some of the conspiracies surrounding Area 51 have any validity. 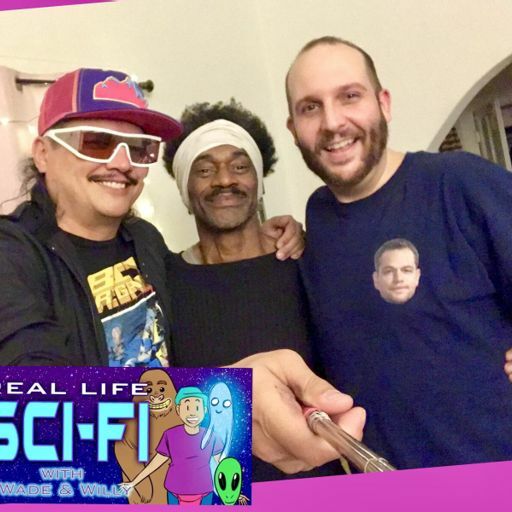 Artist Kali "Kazoo" Fontecchio and Abed Geith (real life Community's Abed) discuss the merits of the conspiracy of Reptilian people. 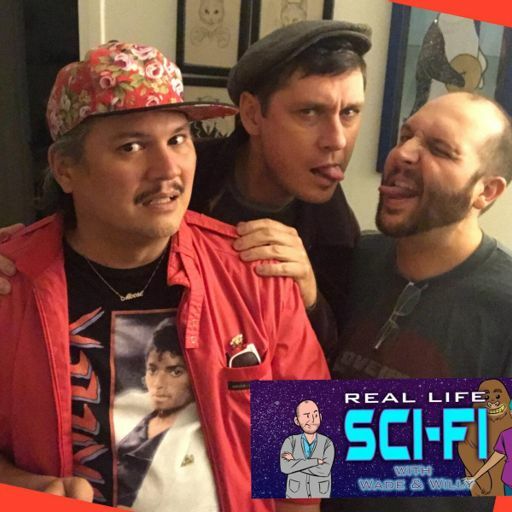 Curt Neil, author of "This Movie Will Require Dinosaurs" and the blog "Unfinished Screenplays" weighs in on the unsettled conspiracy theories of Hitler's death. Not even the world of sports is without conspiracy! 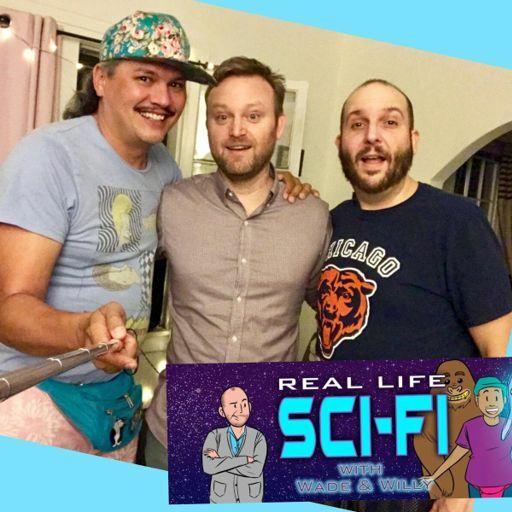 Rick & Morty writer Eric Acosta joins Wade & Willy to debate the facts and fiction of many sports related conspiracy. 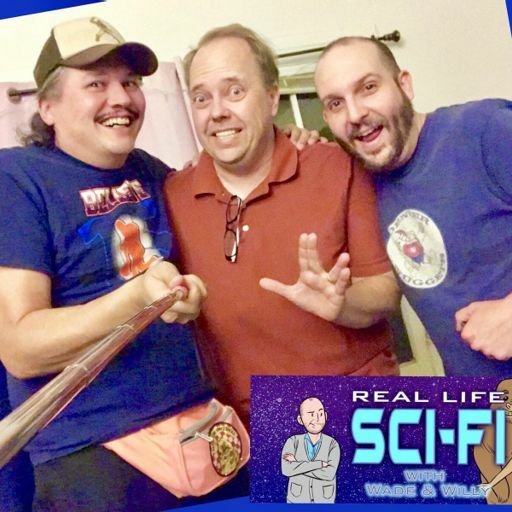 Of Drunk History fame, JD Ryznar jumps in the conspiracy gauntlet with Wade & Willy and gets to the bottom of The Phoenix Lights and maybe Willy himself. 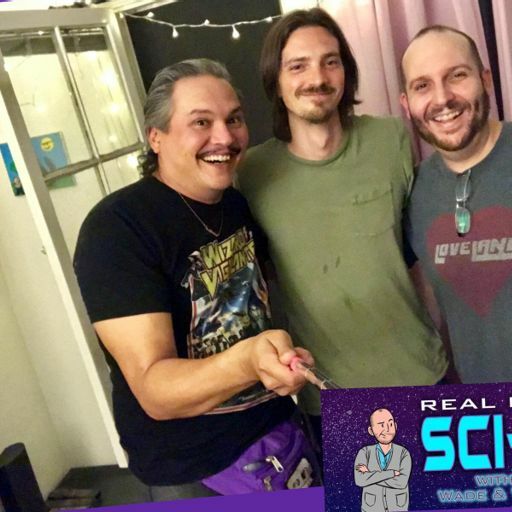 It's fact vs fiction from Willy's bedroom and Wade and guest Sam Brown get to the bottom of mystic Edgar Cayce and holistic medicine. 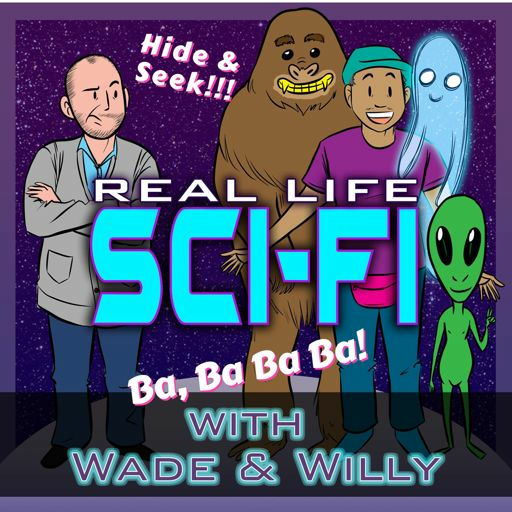 Wade & Willy illicit the help of voice actor Erix Bauza to get to the bottom of crop circles. 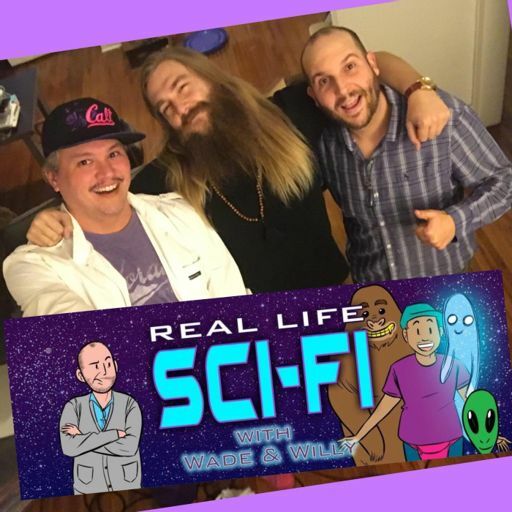 Drunk History's Kyle Kinane weighs in on the Philadelphia experiment with professional skepti Wade Randolph and true believer Willy Roberts. 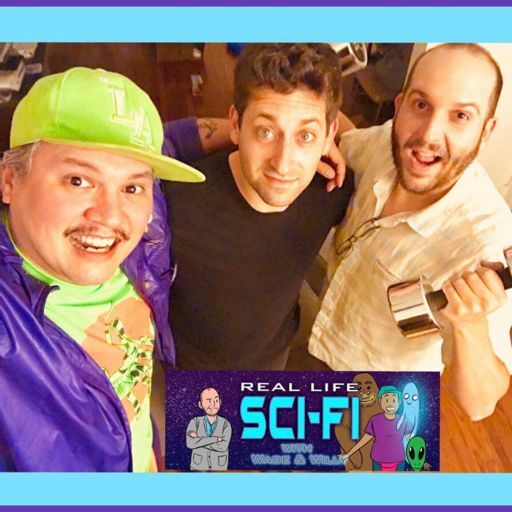 Director and Artist Rob Schrab must decide... are there aliens on Earth? Ghosts, are they imprints from parallel universe, roaming entities or something all together different? 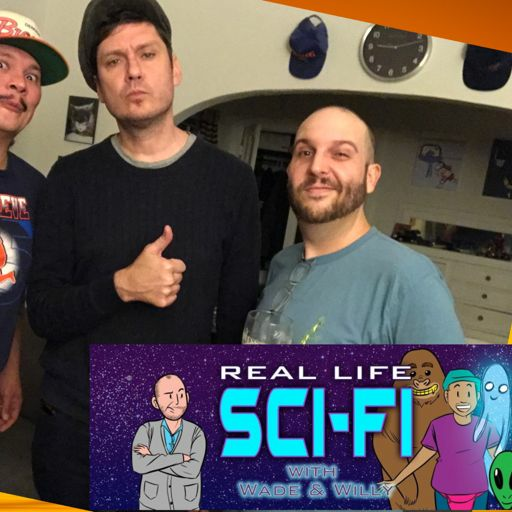 Wade & Willy hear some compelling ghost stories from Jeff Davis and try to get to the bottom of ghost sightings. Matt Braunger is well versed in Illuminati come to find out, but what's real and what's folklore? Plus, lots of hilarious f***ing around.